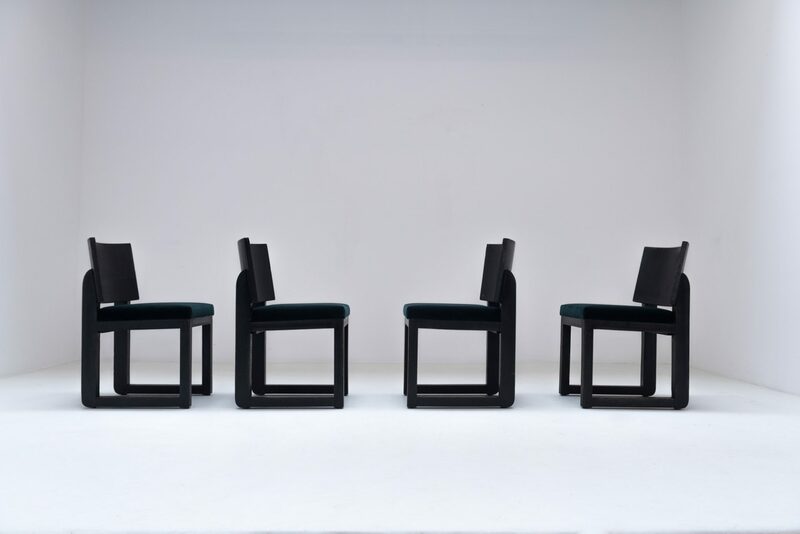 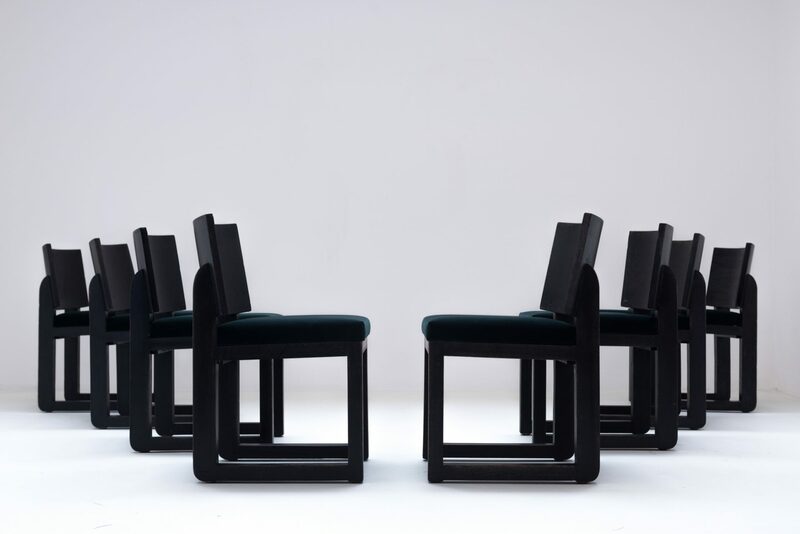 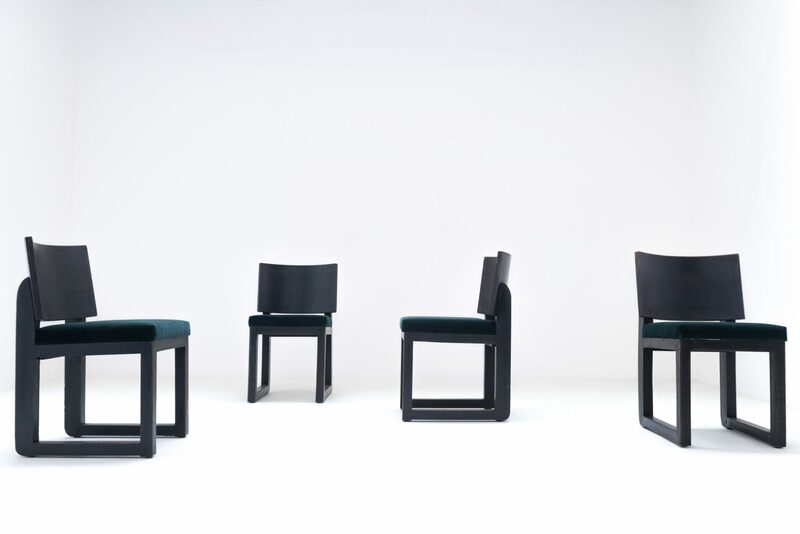 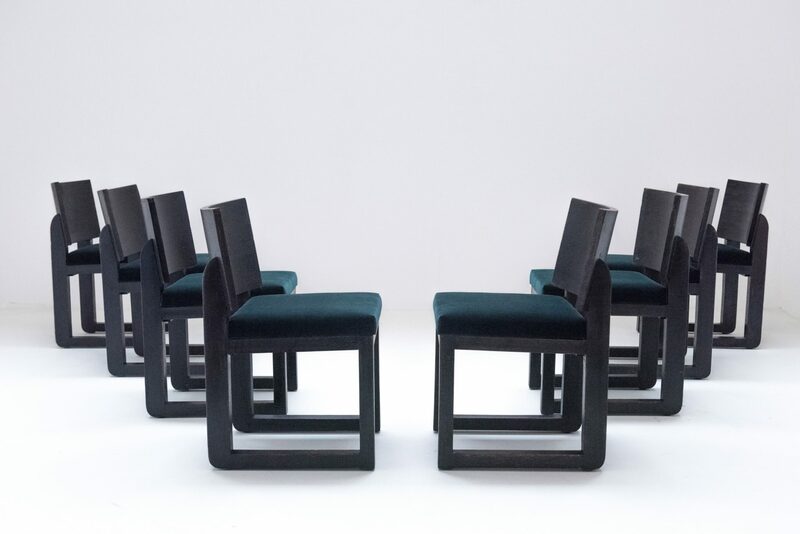 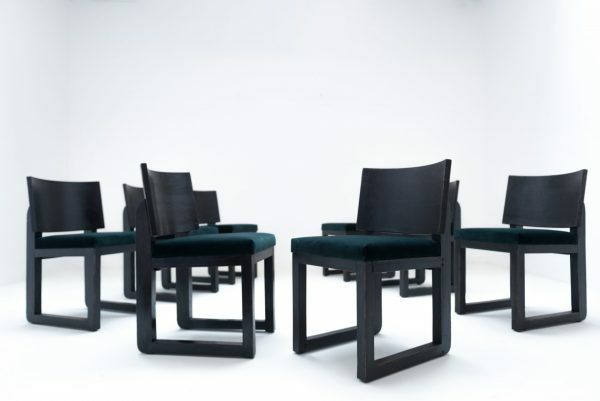 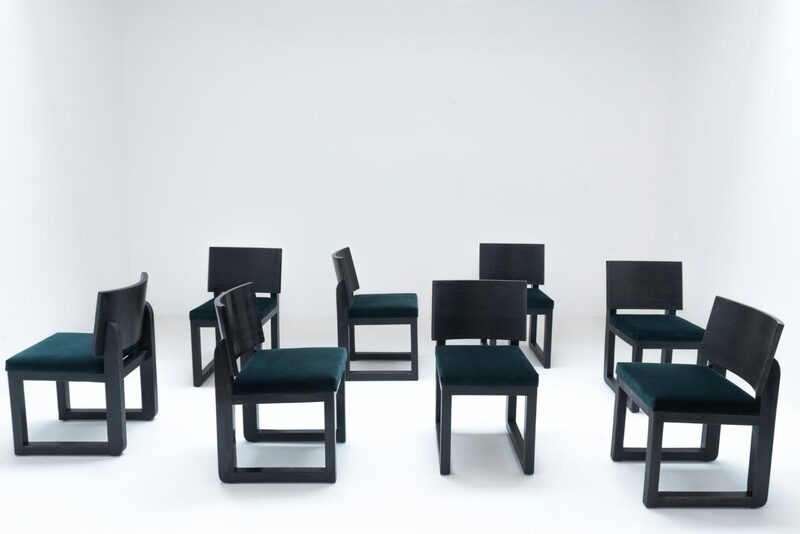 A group of 8 late 1920’s / early 1930’s avant garde dining chairs. 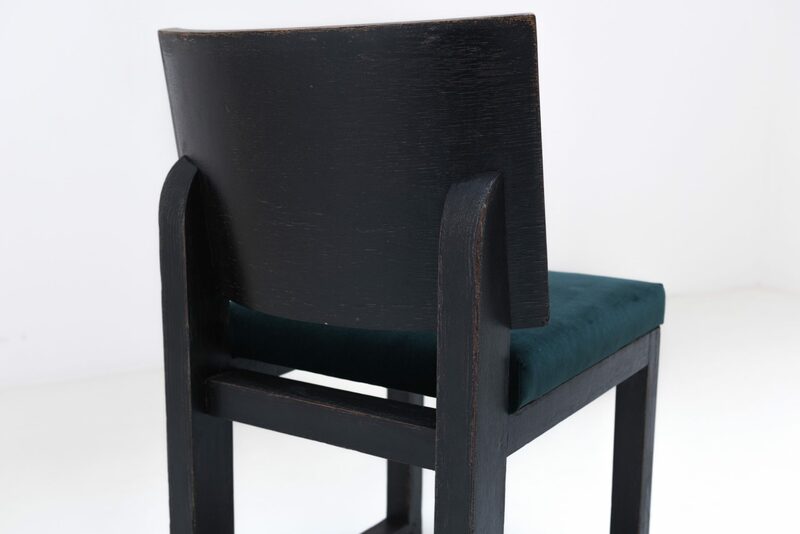 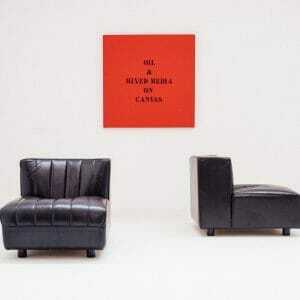 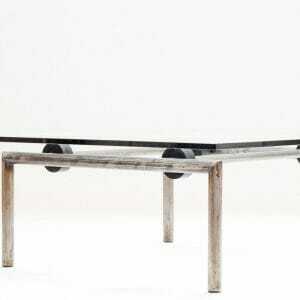 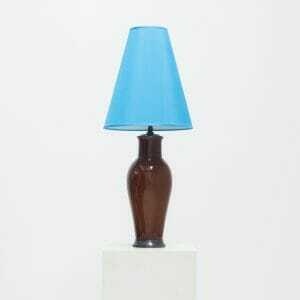 The large curved backrest on the rigid structure gives a feel fo geometrical abstract form language. 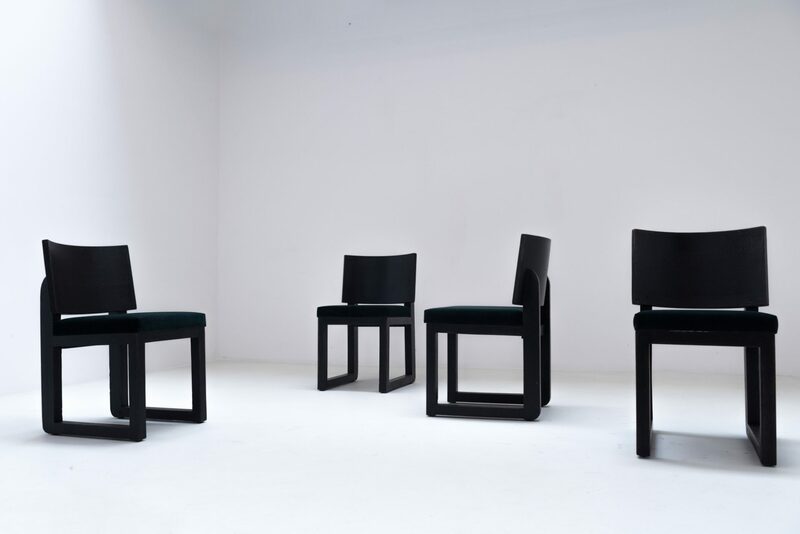 on first sight the chairs’ design is simple, however when we look closer it has a some discrete craftsmen ship and fine eye in it’s design.